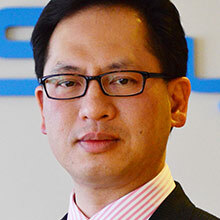 As Chief Executive Officer of NeuroSky, Stanley Yang leads the strategic vision and management of the company. NeuroSky is Yang’s second successful Silicon Valley startup. In 1997, Yang co-founded and served as President & CEO of Triscend Corporation, a configurable system-on-chip IC company. Triscend was acquired by Xilinx (XLNX) in March of 2004. Prior to Triscend, Yang spent 11-years working at Xilinx in engineering and management positions. Yang’s expertise in founding and growing companies in Silicon Valley comes from his passion for technology’s ability to revolutionize industries and ultimately change people’s lives. A Chinese American with Shanghainese ancestry Yang is adept at bridging the East with the West. Stanley Yang received a BSEE from the University of California, Berkeley.